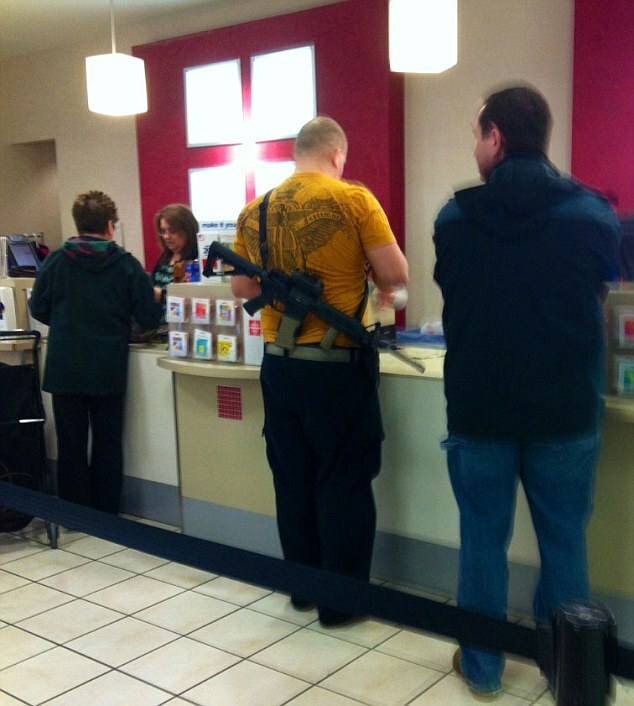 In Utah, You Take Your ASSAULT RIFFLE To J.C. Penny! Hours after President Barack Obama called on Congress to ban assault weapons, one man's protest raised some eyebrows at a Utah store. 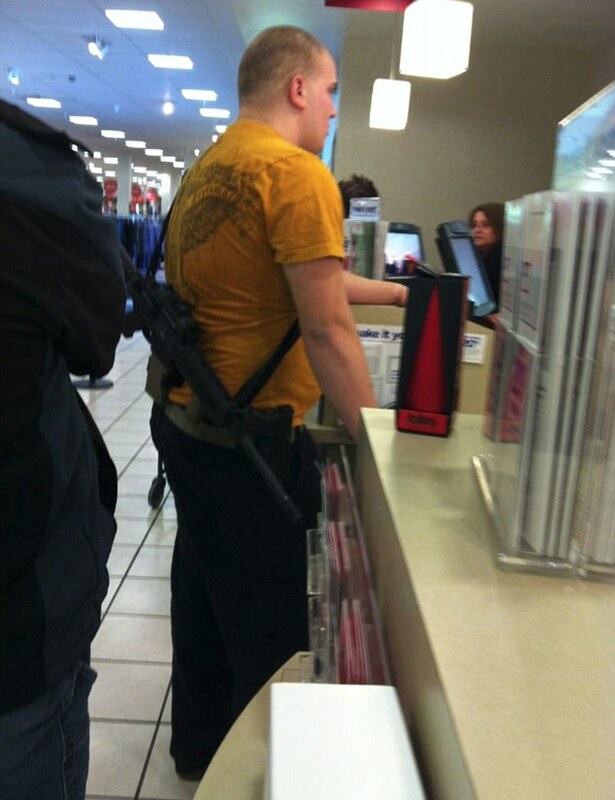 An Ogden woman snapped a few photos of a man standing inside a J.C. Penney on Wednesday with a big gun slung over his shoulder. Cindy Yorgason said that even for a firearm-friendly state like Utah, it was out of the ordinary. 'I've seen someone carrying on their hip or leg, but I have never seen anyone openly carrying an assault rifle,' she said. Yorgason took two photos of the man and posted them on Facebook, where they received hundreds of comments and have since been shared more than a thousand times. She said she's 'incredibly amazed' at the attention the images received. She wasn't alarmed when she spotted him with the weapon but Yorgason thinks the man took it too far while trying to make a statement. 'I just think it's inappropriate,' she said. The man, identified as Joseph Kelley, 22, told The Salt Lake Tribune he wanted to demonstrate that the weapons aren't dangerous when handled by law-abiding citizens. Kelley said he's a former member of the military and alerted police in advance that he would be carrying the weapon, which he identified as an unloaded AR-15. Kelley was also carrying a Glock 19c on his hip. He said he received positive reactions from people who spotted him. Attempts by The Associated Press to reach Kelley were unsuccessful. Local law enforcement authorities said they didn't receive any calls related to the incident or any notice from Kelley, Riverdale City Police Lieutenant James Ebert said. But if the gun is unloaded, 'then you're well within your rights to carry a firearm,' Ebert said.